YouTube Video Editor gives you the capacity to edit your video straight from the YouTube platform; these include videos that has already been published or shared. In the first part, we're going to teach you how to edit your published YouTube videos without losing video ID and URL, in the second part, we offer an advanced video editing tips for edit published videos. If you want to hide or remove some videos of your or other people's YouTube channel, you can check this article. It is true that YouTube Editor provides us a handy platform that allows us to edit existing YouTube videos in an efficient ways. However, the tools they provide are too basic. If you want to perform a more complex editing, you will need an offline editor such as Windows Movie Maker, iMovei or Adobe Premiere. But if you are looking for an simple while powerful tool, we highly recommend Wondershare Filmora. It is highly compatible with different image, audio, and video format. It is just as simple as importing the video and editing them. The downside, however, is that you will lose the original ID of the video. This may serve as a problem if you have already shared the video before since the views may disappear. A good solution to this problem is to place an annotation to the old video telling your followers that you have created a better quality of the video then direct them to the link. Let me walk you through a familiar situation, you spend all night trying to make your video perfect, uploaded it on your YouTube channel and shred it to your social media accounts. Then you noticed that you need to repair something. The normal approach back then is to delete the video, re-edit using offline tools and then re-upload it again. Clearly, this process takes too much time. Furthermore, it changes the ID of your video which means that the previous embed will no longer work. Note: Under this situation, you can't add more footage or effects to the existing videos. 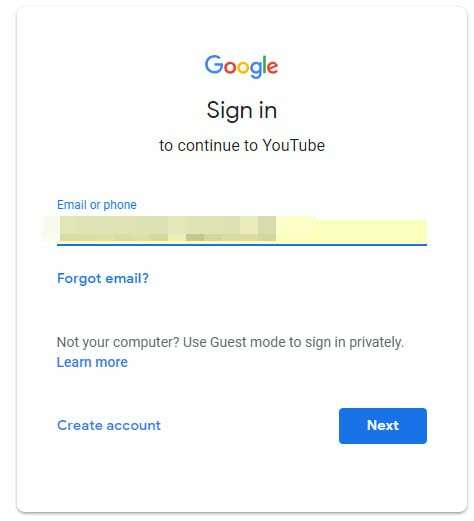 The first thing you need to do to edit uploaded/published YouTube videos is to sign-in with your Google account. After signing-in, you now have the option to view all your uploaded videos. Go My Channel > Choose YouTube Studio (it's a beta version right now). Click on the video you want to edit, and you can see all the info about this video, including title, description, visibility, etc. Choose "Editor" at the left side of the interface, and you will be led to the YouTube video editor's interface, You can now trim the existing YouTube video by dragging the sliders on the timeline. After you are happy with your edited video, you can now click save. Note: In case you are not happy with the video that you edited, you can always revert back to your original video. Videos with more than 1,000 views will be saved as a new video after the editing. You may also add notes and annotation to your Videos. This annotation may appear alongside with the video depending on the time that you want it to appear.